The ISTH offers a variety of educational programs for those who have a scientific interest in thrombosis, hemostasis and vascular biology. Click below to learn more. Since its inception, ISTH meetings have been a staple of the Society. Click below to learn more about the various types of ISTH meetings. The Scientific and Standardization Committee (SSC) sets the global standards in thrombosis and hemostasis. Click below to learn more. Plan to attend the premier global event in the field of thrombosis and hemostasis. Join us in Melbourne from July 6-10, 2019. This year, the ISTH marks 50 years of scientific advancements. We are proud of all the work we have accomplished and excited about what comes next. The Journal of Thrombosis and Haemostasis (JTH) is the official journal of the Society and is the leading medical journal in the field of thrombosis and hemostasis. The ISTH Academy includes a comprehensive webinar series, educational webcasts, online courses and access to scholarly articles and abstracs. 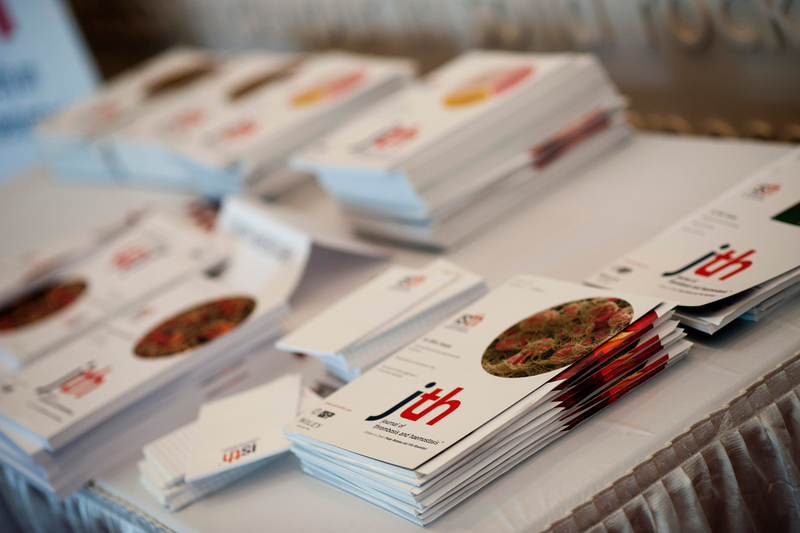 Become a member of the ISTH and gain access to resources and benefits including a subscription to the Journal of Thrombosis and Haemostasis (JTH), access to the ISTH Academy's educational resources, discounts to meetings and more.